Art was predeceased by his parents Nellie and Stanley Davison, his brother Davy and sister in-law Lorraine Davison, by his children James Davison, Koreen Davison, Jason Davison and by his daughter in-law Lisa Davison. 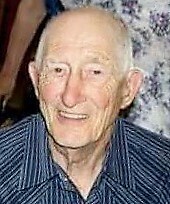 He is survived by his wife of 60 years Ruth Davison; by their children Cheryl (Marvin), Tracy (Brenda), Tony (Sarah) and Marianne (Peter); by 14 grandchildren and 21 great grandchildren. Art was the first born to Nellie and Stanley Davison at home on a cold winter night in Lone Pine Alberta. The family move to Clearwater B.C. When Art was 12 years old. There Art would later meet his wife Ruth marring in Edmonton Dec 1957. After a few short moves between Alberta and BC, and a year in Australia, Art and Ruth settled down in Clearwater to raise their family. Art worked in the logging industry becoming a millwright for Weyerhaeuser in Vavenby B.C. During those years Art was involved in the community as fire chief, a trustee with Clearwater improvement district, ham radio operator, and highway rescue. He was also a very busy dad/grandpa. Upon retiring at the age of 65, Art and Ruth travelled across Canada and wintered in Arizona returning to Canada to spend summers with family and friends. In his last few years Art loved to keep busy working at the trailer park they lived at in Summerland. Then a move to 100 Mile where he helped feed the animals. If Art was sitting, there was always a cat or dog on his lap. Art passed away in Kamloops BC. He will be missed. Our condolences to Ruth and all of Art’s family. He had a gentle spirit and way about him which was quickly apparent when one met him. It was an honour to be on the fire department during his tenure as Fire Chief, and to be a part of his life in many other ways. A good man.